Emerald Wake is a pseudo . My works are representation of my soul and dark worlds i see . My Best Regards to ALL Visitors ! I like your work. It raises more questions than it does providing answers. Fabulous photos, I shall follow with interest. Hello EW, Thank you for following my photography blog, Jane’s Lens. I hope you enjoy my work. I appreciate your comments and visits. I have enjoyed following you- your work is superb. I find you work extremely interesting and very beautiful. I am following you blog and am looking forward to receiving emails when you post. You have a very good eye. I love your macro work and you landscapes. Where are you from? I would like to live in your photographs! Your pictures are just wow…I’m no photographer…just loved to look at them and get inspired 🙂 stay blessed..
Hello,First i want to thank you for taking the time to look at and read my work, To say your talented is an understatement,breath taking and memorizing ,looking forward to seeing more of your art.Hoping you may enjoy a poem, of mine. Thank you for wandering through one of my blogs and I’m glad you found a few poems that you enjoyed. firstly thanks for visiting my blog, i looked around yours and I’m like blown away. Awesome detailed shots, i feel like i have a long way to go. Thank you for the enlightenment and keep it up. Nice to meet you your photographs are extraordinary! I am in awe! Your photographs are amazing!! Stunning pics, I’m in awe! You do a great job! Just love all your pictures! I enjoyed wandering through your incredible works of art…. Thank you for sharing them and sharing what you see to make us feel …. Thank you very much for visiting my site. I am so happy to discover your site & admire your beautiful photos. You have a very unique style and artistic vision 😀 I will visit again! Stunning photography, a pleasure to see it. Thanks for visiting my blog so I have a chance to come here. I am looking forward to reading more. I love your photography!!! How the tinest picture you capture has such beauty !! What camera do you use ?? The quality is superb!! I am a fan of your work now .. It’s simplest stunning !!! Hey Emerald, good photos! Thanks for the visit and comments. Keep up the good stuff! Your work is beautiful. I’ll look forward to your posts. After seeing your own work. It’s Outstanding! 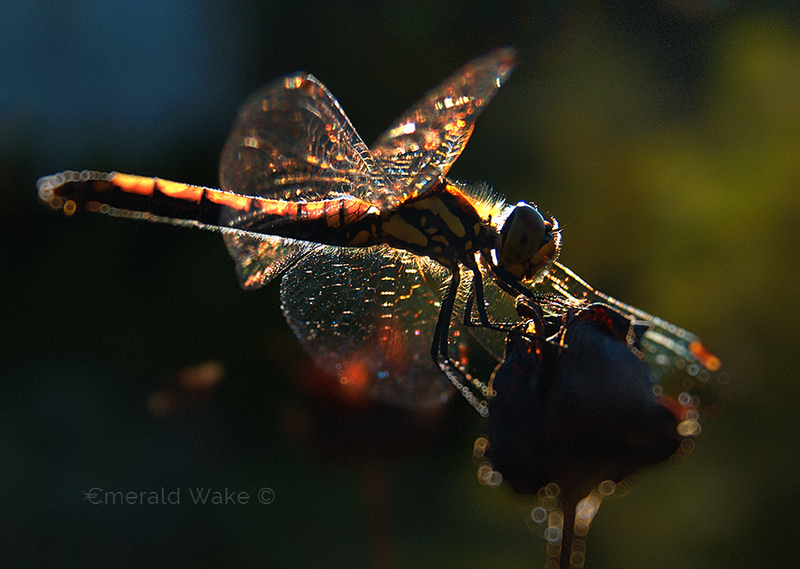 emeraldwake, thank you for liking a recent poem of mine and lighting the path to your sublime photography, your creativity is infectious and very inspiring. So glad to finally have an opportunity to see your portfolio – it is extraordinary, superb in quality, captivating, and provocative. So nice to meet you, thank you for visiting my blog and I look forward to seeing more of your posts. Wanted to say think you for visiting my blog and to return the favor. I really do enjoy your work. So very beautiful! after seeing your comment on my blog I decided to swing by yours. I bien.Tu is magnificent blog. The amazing pictures. Let me follow. Thank you Emerald for checking out my blog so I could find your’s. Some amazing, amazing photographs you have here! I thoroughly enjoy your work. Thanks for sharing. You got an amazing blog that captures the world around you in the most spectacular way. Thanks for sharing them. Wow, a beautiful and inspiring blog you have! So much talent! I will surely come back to see more. With kind regards. Your images are beautiful: enchanting; alluring; intense; and magical! I feel great to find you here. Absolutely beautiful work with a great variety of images. Your photos are very powerful, I like the saturation and the drama of your images! Wow, Amazing work!! I Look forward to seeing more of your work as we blog more!! Wow, your work is incredible! I love your use of light in your photography. Very nice work! Beyond nice actually! Just beautiful and breath taking! Here I’m …. what a wonderful world you have here … stunning photos and art. Fantastic … so I hope to see more of you and land here more time. beautiful waterdrop image-I haven’t gone that route-yet. Thank you for visiting my blog and your welcome comment. You also have a great blog, I like the way you capture the light. Good work. Take care. Your work is mind blowing!!! Thank you so much for sharing your incredible talent with us!! I don’t know which one I love more. Congrats on your well deserved awards! Your talent is not just an art, it is an emotion!!! Your work has amazing depth, emotion and soul. That you spend hours on each piece is not only apparent in the outcome, but in the masterful way in which you have described your approach to art, inspiration, healing and creation in your biography. I am happy you found my blog and thus led me back to yours. Sometimes our demons look like angels; our shadows look like light. Not many are true artists, but you are. Thank you for sharing yourself here. Thanks for visiting my place, yours is beautiful too. Thanks for becoming a subscriber. I am enjoying your work as well. Great blog! I’m following it now and there’s always something interesting to find. Keep up the good blog! I’m in love with your work! I can’t just like a few. I love them all! I will never look at a dandelion the same again. Thanks for sharing your art. Your photographs are incredible!! It was too much awesome for me to handle at once when I went to the first site off your Gravatar, and then out of overwhelmed desperation I was able to find the text of this blog and ground out. I’ll come back when I’m better fed and rested so it doesn’t make me pass out from over exposure to the gorgeousness of your images. Seriously! What?! Frigging rad!!! Wow! Such intense work. Brilliant. Came over to see the work behind the face, who keeps popping up on my blog. you are a brilliant photographer!!!congratulations!!! Wonderful photography! Keep up the good work and thanks for visiting my blog. I really enjoy your works and the unique style you’ve developed. Looking forward to seeing more posts. Many thanks and best wishes! Your photography is awesome! I look forward to following your blog….Glad you found my blog so I could find yours 🙂 Blessings!! Wow – your work really stands out. I am just taking little snapshots of people here and there to document my observations of the world, but you are an artist. Thanks for visiting my blog. I am looking forward to see more of your photographs! Jestem pod dużym wrażeniem Twoich prac. Pozdrawiam, tutaj także czuje powiew piękna! Your pictures are beautiful, and amazing, wow I shall look out for more! I really love your photos! They are stunning. I want to return them and tell you that your photos are really amazing. Thank you for commenting on my blog so I could find your work. It is breathtaking and very inspiring. I look forward to seeing much more of your beautiful work. WOW!! Your work is wonderful! 🙂 Thanks for inviting me! Magnificent images! You are truly gifted! Thank you for visiting my blog, yours is amazing, I am fan of your photos!!!! I like almost all because I like the “dark side” of them ans the fact that they are very contrasted. You are very gifted and you can tell that your passion is art and photo’s. I am amazed at the quality of your work. Keep up the great work. Your photos are amazing!! Everyone inspires me to experiment and see what I can do… even though I’m not very talented!! I really love your photos. Especially the eyes with reflections. very unique. Great color and depth of soul in your work. Have a great day. I do appreciate your passion in photography! thank you for visiting! Your blog looks fantastic – I’ll be back! Thanks for your coment. Great blog! Love your pictures!